With the Inside FMEA series of articles, my intention is to bring to life the subject of FMEA, and provide value to readers from all levels of experience. Whether you are new to FMEA, or an FMEA expert, it is my sincere desire that each and every person who reads Inside FMEA articles will discover new insights about FMEA, and experience improved success in FMEA applications. The first article, called “Welcome to Inside FMEA”, will introduce the series, and provide a glimpse of what is to come. Readers are encouraged to contact me with any questions about FMEA, or feedback on Inside FMEA articles. Questions, feedback, and ideas for future articles can be sent to carl.carlson@effectivefmeas.com. I will personally respond to all questions and feedback. I’m excited to bring this new series to Accendo, and hope you enjoy reading the articles, as much as I enjoy writing them. As I say to readers of my book, "best wishes for effective FMEAs." Assembling the Correct FMEA Team. Once you have identified the scope of the FMEA project, made the scope visible, it is time identify the FMEA team members. This article discusses the composition of the FMEA team, including why each member is needed, and the underlying reason for a cross-functional team. Before commencing with the FMEA meetings, it is essential to visibly show the nature and scope of the analysis. This article discusses different ways FMEA scope can be made visible, and why this is a necessary step. Every journey begins with a statement of the goal or objective. Why would it be any different for FMEA? Yet, some FMEA teams do not clearly identifying the focus of the analysis. This sounds simple, and it is; but, it is very important. This article explains why. Inside FMEA has Achieved its First Milestone! 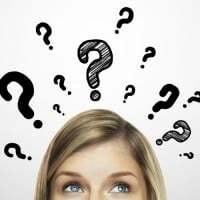 FMEA Q and A – Where do reliability requirements belong in an FMEA? Can you take into account reliability or durability functions in an FMEA? How can this be done? A reader asks this question, and it is discussed and answered in this FMEA Q and A article. In this week’s FMEA problems and solutions article, the intermediate problem challenges readers to prioritize a series of RPNs (with their corresponding S, O, and D). In the advanced problem, readers are asked to weigh in on a fictitious debate between advocates of traditional RPN, and advocates of criticality assessment, using only severity and occurrence. If you haven’t yet read the article titled “Prioritizing risk for corrective actions in an FMEA – Know before you go!“, you can access it by clicking on the link. Prioritizing risk for corrective actions in an FMEA – Know before you go! 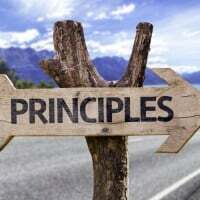 One of the most important steps in FMEA procedure is prioritizing risk for corrective actions. 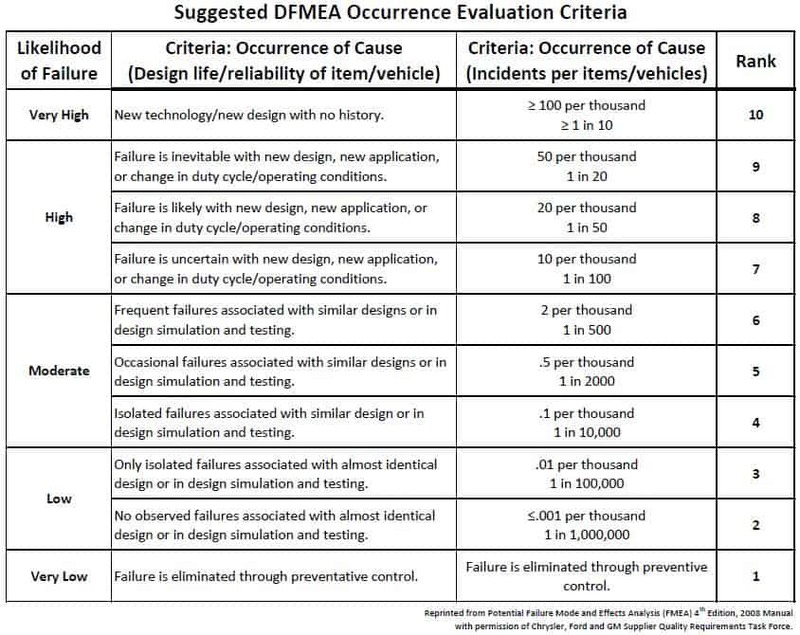 As soon as Severity, Occurrence, and Detection ratings have been determined for each failure mode and associated cause, the next step in an FMEA is to prioritize the risk and identify which issues need corrective actions. This step has been misapplied more often than any other step in the FMEA process. What if a production worker uses a different cleaning method for an assembly operation than was outlined in the operation work instructions, and the result is customer complaints and field issues. How could this be addressed in a Process FMEA? This question is discussed and answered in this FMEA Q and A article. 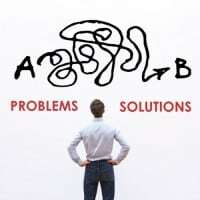 Can you find this common error in detection ranking in the intermediate problem in this article? In the advanced problem, the topic of an in-service detection scale will challenge the most experienced readers. Understanding FMEA Detection: Can You Find a Needle in a Haystack? Failure modes and their causes can be detected in service, like tire pressure monitors on your vehicle. Is that what is assessed in the Detection column of the FMEA? This article discusses detection risk, including examples, and answers this question. Ponder this question: Let’s say you are an OEM and assemble parts made by various suppliers. When performing your Process FMEA, do you consider special characteristics for components in your Process FMEA? This question is discussed and answered in this edition of FMEA Q and A.
Assessing the occurrence ranking is one of the more challenging aspects of FMEAs. This article presents problems that relate to occurrence risk assessment, based on a fictitious case study, and highlights a common mistake. Some FMEA teams associate occurrence ranking with Failure Mode; others associate it with Effect. Still others connect associate it with Cause? Which is correct? This article discusses occurrence risk, including examples, and answers this question.